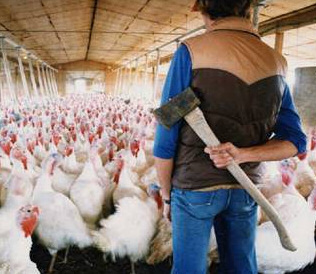 Thanksgiving in the US is called "Thursday" in Canada. Cool, glad we cleared that one up! One accordion being played - good! Two or three accordion's being played together - also good! Never have I heard this instrument be more of a waste then when 10 or more of them are being played at once. 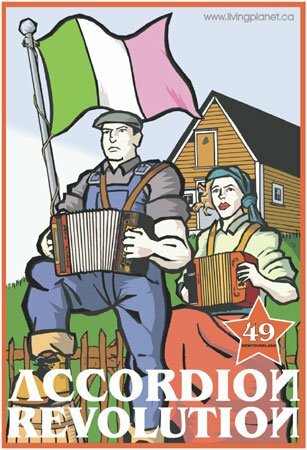 Unless it is to prove a point and be a part of the "Accordion Revolution" and reach a World's record of how many squeezeboxes can be pumped at the same time, OR to be paraded through a city to promote this lovely instrument, it simply does not compliment itself well when played with so many other accordions. The sound becomes muddled, unclear, and also, to me, sounds like one large church organ - which ironically, is what an accordion was designed to be in the first place. "The working man's church organ" has now become something of a tool to beat each other with. And with this I say loud and clear "MUSIC IS NOT A SPORT". I do not think world championships for music should be encouraged. You would not catch me buying a ticket to see the prodigy that can play 'flight of the bumble bee' forwards and backwards 100 times within 5 minutes. I am going to spend my hard earned money on someone with creativity and thought, who can entertain a crowd, is performing from the heart, and not have me bored for one second. True, the prodigy musician is probably playing from their hearts, but there's something robotic and calculated about being a 'champion'. Both have talent too! But the definition of a champion is completely subjective in my eyes. I want to be champed by experiencing something raw.